Yesterday my girlfriend came home from Portugal, so we went out to dinner to celebrate. 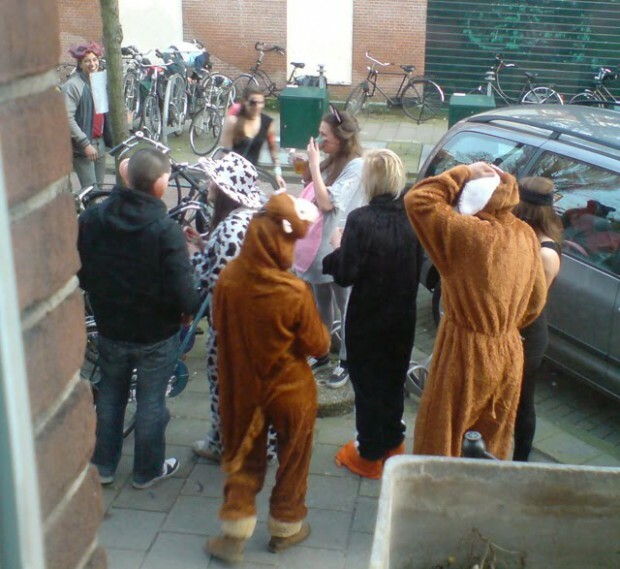 Outside, a lot of people were dressed up as animals. First I thought it was a bachelor party, but then I figured they were probably from some sort fraternity or something. Looked like they had fun though.